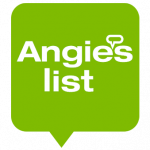 Read about us on Angie’s List. North State Blinds and Draperies has a home office. We are open M-F, 8-5 and Saturday as needed. Fill out the form below and we’ll be in touch with you soon!